Okay friends, here we go with an update to 1.5_01 and a few changes. First, let's see some screenshots. Several shots of Broville, to give you an idea of how this looks on a larger scale. The goal for this pack is to add color without drastically changing how the various blocks relate to each other in the default graphics. For example, my cobblestone is still darker than the smoothstone and the halfblock is still white. 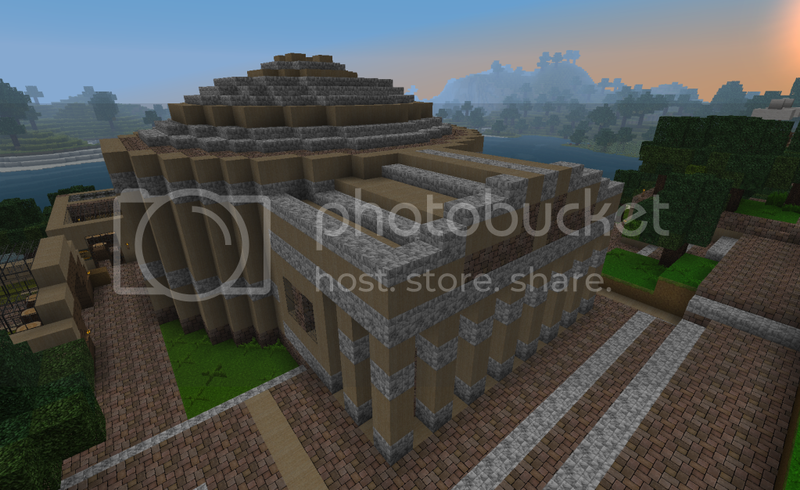 Hopefully, keeping these contrasts will mean that structures built with more traditional texture packs will still look good if you switch to mine. That's what I want to accomplish, anyway. Changing the smoothstone away from grey made many other changes necessary. All the ores had to be created from scratch. 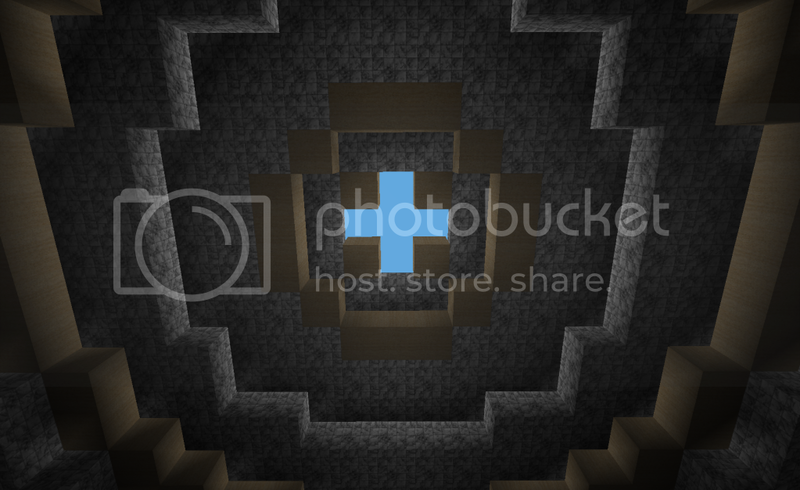 I went in a kind of unorthodox direction there... tried to make the ores look like stylized veins and deposits through the rock. The gravel is new, and colored to match. Dante80's sand and clay textures were both very close in color to my smoothstone, so I altered those; the sand is now more white and the clay is red. New cobblestone and mossy cobblestone were necessary. (Have you ever tried to find a reference picture of moss on sandstone bricks that actually looks good? Ugh.) Neither Misa's nor Dante80's wood plank textures worked well with my smoothstone, so that's new. Same story with the log cross-section. I made a new glass texture just because I wanted to. Then, just as I was starting to feel good about the pack's impending completeness, Notch suddenly added actual sandstone to the game... so that's new too. I think Minecraft clouds are ugly, so I got rid of them. The vignette effect is also gone; I tried a few different versions and just never found one I like. Everything else in this texture pack came from my two inspirations. I'm a relative newbie at creating visual art like this, so constructive criticism is welcome. I'm not planning on any huge changes at this point, but will certainly read and consider any helpful advice. Default Minecraft uses 16x16 textures, but this pack uses 64x64 textures. This means that simply placing the zip into the game's texture pack folder will not work correctly. There are some additional steps required. 1) Start with a clean install of Minecraft. If you want to start afresh, you can delete the bin folder from .minecraft, start the game, and let it download all new files. 3) Read Kahr's instructions. Run the patcher in accordance with those instructions. The texture pack must remain zipped; it should not be unzipped. 4) For those who prefer Misa's more traditional Jack o' lanterns over Dante80's, I included a separate file labeled terrain_pumpkins.png. Unzip the texture pack, remove the terrain.png, rename terrain_pumpkins.png to terrain.png, rezip the texture pack, and place it in the game's texture pack folder. Kahr's patcher also includes the optional BetterGrass mod, which I personally like a great deal. Unfortunately, as of this writing WildGrass and BetterGrass are incompatible with each other; you need to pick one or the other. 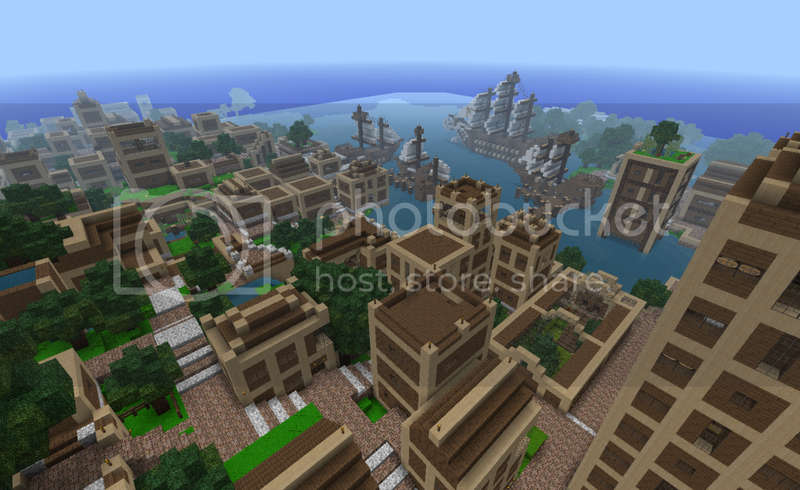 Thank you Xau and Kahr, for making it possible to play Minecraft with HD textures. It's very much appreciated. The majority of this pack is a compilation of textures from Misa's HD Realistic Overhaul and Dante80's Albion. Many thanks to them both for their kind permission to include their work. 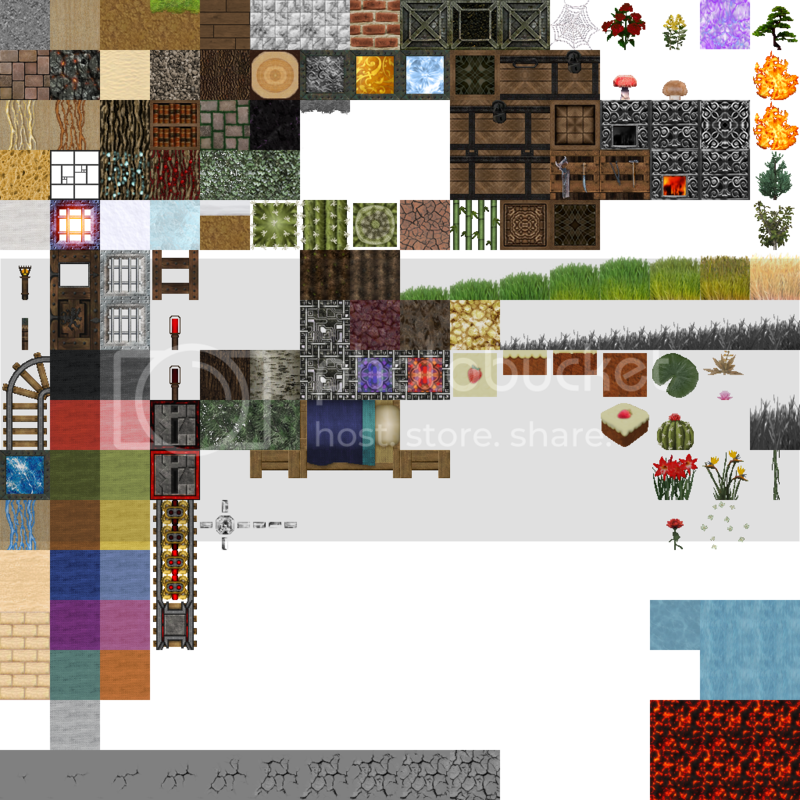 Below is a list of exactly which textures came from what pack, and which I created. Thanks for reading. I hope you enjoy Sandstone. 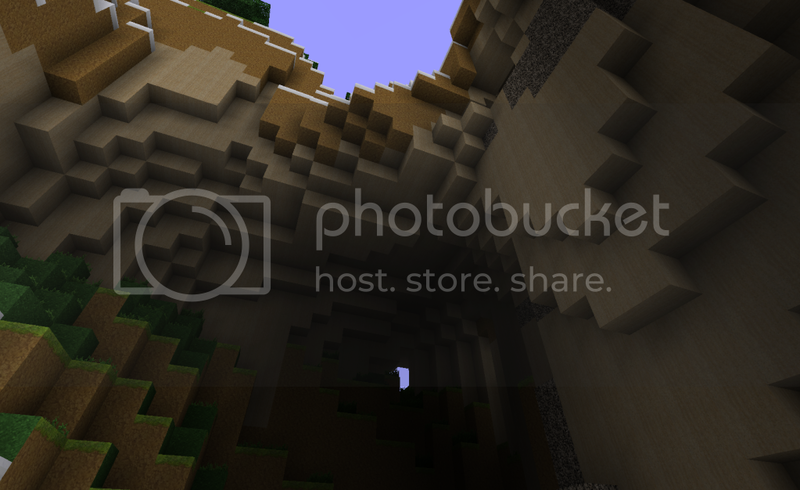 Check out my 64x texture pack, Sandstone. Oh, my. Those pictures are absolutely beautiful. Downloading now! Looks really good. I'' let ya know what I think! Here's the terrain.png, for all you who like playing around with the files yourself. 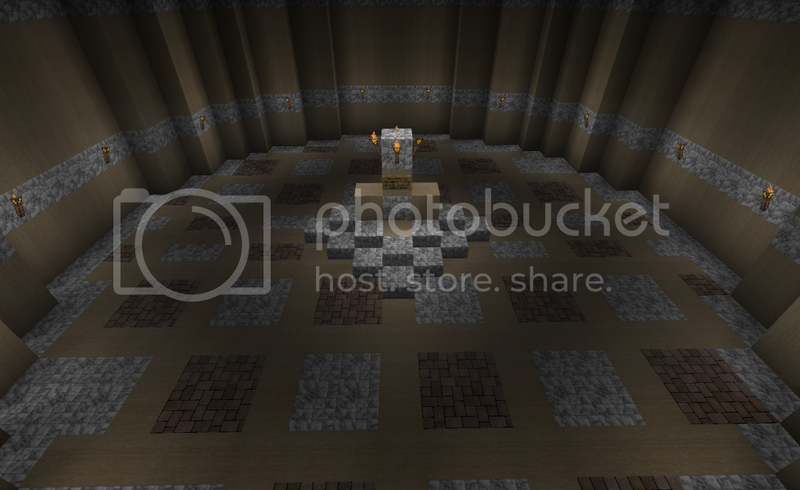 Whenever I update, I'll post the main terrain.png and the alternate with jack o' lanterns here. Do you realize I have been looking for something this.. Amazing for WEEKS? I-I want to cry. this is MY pack.. Oh my god.. I- Oh my god! This post is completely inappropriate. Remove it at once, or suffer eternal nagging. Wonderful pack, ThankYou! Makes cobblestone worth using. Personally, I hate seeing jack o' lantern faces scattered around the countryside. I think they look ridiculous, and were a bad idea on Notch's part. They look even more ridiculous when placed on a stick or built into a wall as a lamp. That's why I really like Albion's pumpkins; 'cause they make good lamps. But I understand many people like the more traditional pumpkins. I tell you what, I'll make a version with Misa's pumpkins and post the terrain.png here. It'll be a few minutes. Edit: deleted the out of date picture. 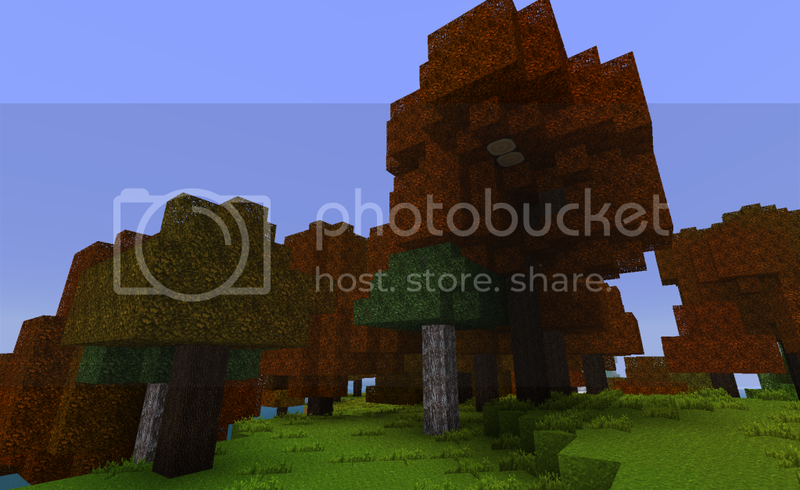 See the previous post for the alternate terrain.png with the jack o' lanterns. 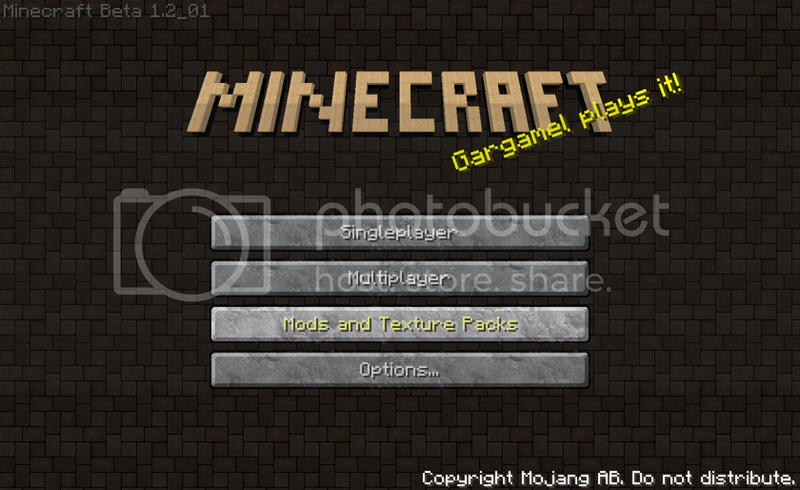 After I installed this pack, the "Beta 1.2_01" text disappeared from the upper left corner. I don't even see that if I press F3. I still see it on the main menu. Do you think that this pack caused that? Did you install Zan's minimap? When I tried using that for a little while, it got rid of the text. I uninstalled that minimap after I learned it can cause problems with world generation, and now my version text has returned. It's the best resolution, IMO. High-res enough to make interesting detail possible while avoiding excessive pixelization, low-res enough to run smoothly on computers that aren't the best gaming rigs around (like mine). I can't understand why more people don't use this. I told myself I was going to actually play the game tonight... but that sandstone texture was just bugging me too much to let it go. LOL. I shouldn't have rushed it in the first place. So now I get to do my first ever update, woo! 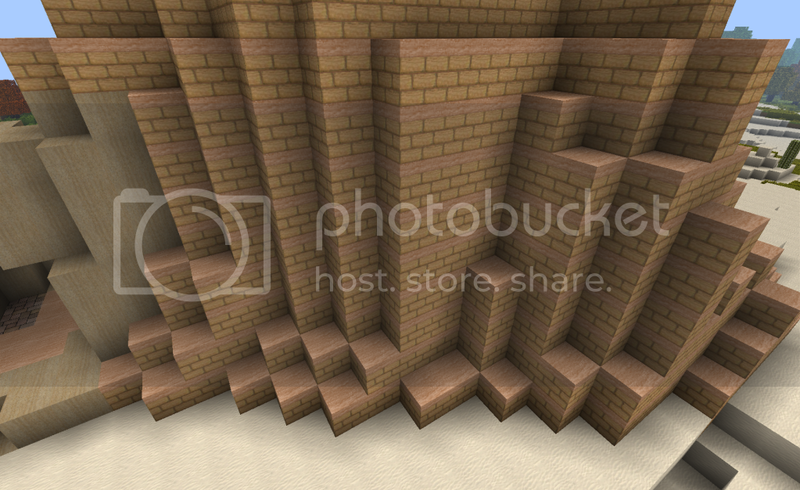 The sandstone texture now has softer borders between bricks. I also added a background for the title screen. The window decoration is a little bit darker. Eventually I want to share a variety of different window designs, because those are fun. 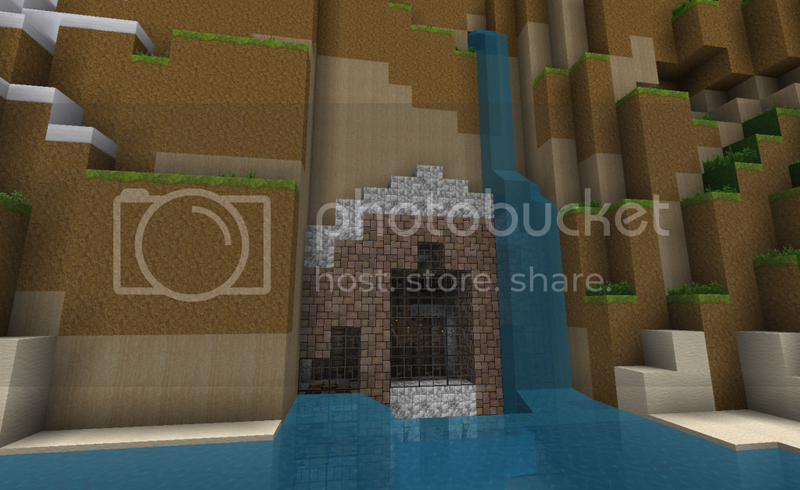 I really should build something with that sandstone... something better than just covering half a hill. Do you know how crazy it is that I'm drawing pictures to share with other people? Really, if you knew me in real life you would know this is an entirely new range of behavior. Crazy! 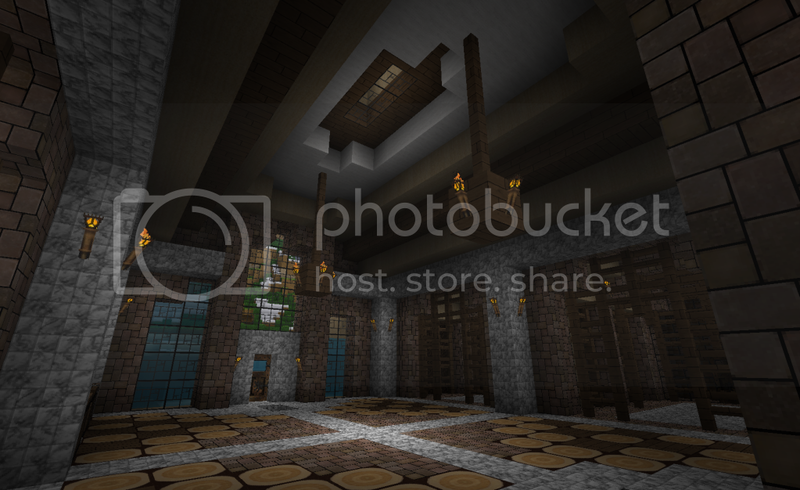 Nice job of the texture pack, thought I'd post a few screens. Woo! I'm so happy seeing those pictures! That pyramid interior looks great. All the responses in this thread have been so kind. But seriously, constructive criticism is also welcome. I'm a newbie at this stuff, and I'm sure there are mistakes being made that somebody more experienced would know to avoid. Click on my dragon egg plz!! 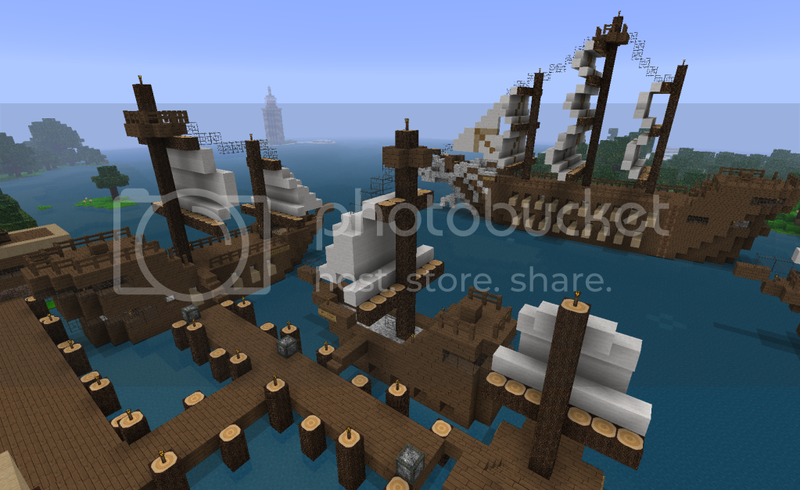 This is one of the best texture packs, ever. Luckily I ignored the name, because I thought it would be just sandstone everywhere. But this, this is beautiful. Edit: And punch entire trees down and punch rocks apart, then crushing them together into perfect squares. He's obviously WALL-E in disguise. I tried to consider alternate names. I don't like the "-----craft" local meme. Sandy? No. Sandstorm? No. Hmm... I considered Amalgam, to describe the pack's composite nature, but that's just hard to say, hard to spell, and a lot of people don't even know what it means.